We, General Engineering Company, are engaged in manufacturing, supplying, importing, exporting and trading a wide range of engineering products. These products are made using high-grade material and known for reliable performance. 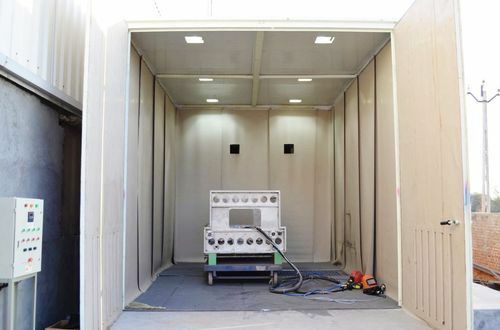 We are a engaged in manufacturing, supplying, trading and importing a vast variety of Shot Blasting Machine and Blasting Media. Made using high-grade raw material and components, ensuring their compliance with defined industry standards. Our product range includes Cast Steel, Glass Beads, Centrifugal Fans, Aluminum Oxides, Silicon Carbide, Cut Wires, Chilled Iron, Nozzles, Valves, Safety Wears, Airless & Centrifugal Wheel Type Machines, Shot Blasting Machines, Abrasive Blasting Media, Glass Abrasive Media and Blasting Media. We provide these products in various specifications and sizes so as to ensure that the product does not have any finishing flaw that might harm the clients.